Hudson's Bay has a Flash Sale today! 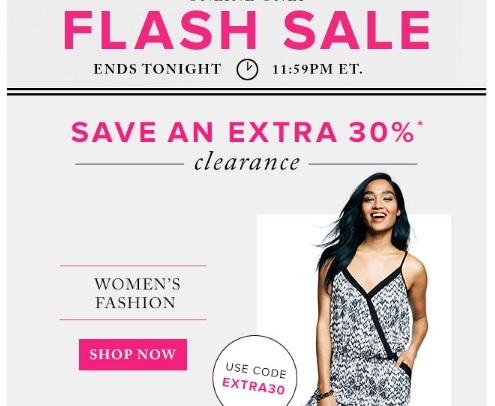 Save an extra 30% off Women's Clearance, Lingerie and Sleepwear and Women's and Men's Swatches! Enter the promo code EXTRA30 at checkout. Offer is valid online only today, Wednesday, August 17, 2016.